Malta is a top domicile for investment manage­ment companies and collective investment schemes as a result of government efforts to attract this industry to the island. Recognised as the “most favoured domicile in Europe” in the 2013 rankings by Hedge Fund Review, Malta bested traditionally dominant countries such as Luxembourg and Ireland. Today, Malta’s niche is with smaller alternative funds, however, in the future it is possible to attract more of the large mass-marketed retail funds. In order to remain the leader in a competitive market, Malta must provide the highest level of services. One way to do this is providing professionals with the skills and integrity to serve as independent directors. When a manager is established, it must get a licence from the regulator, the Malta Financial Services Authority (MFSA). The manager can sponsor the creation of a fund, which also needs regulatory approval. The fund enters into a management contract with the manager. The manager and the fund are separate entities and therefore each needs a board of directors. All directors must submit “personal questionnaires” to the regulator evidencing that they are fit-and-proper with competence and integrity. The MFSA published its Corporate Governance Manual for Directors of Investment Companies and Collective Investment Schemes in February 2013 “to provide general guidance to a director on how to implement good corporate governance practice.” Other domiciles had similar manuals, and therefore Malta needed a manual to remain competitive. The duty of a director, in any board for any type of entity, is to serve the entity by formulating strategy, monitoring implementation of that strategy, and providing accurate accounts. In the manual, the MFSA recommends that a board has between three and seven directors. A larger board is desirable for a more complex entity where a wider range of director backgrounds is useful. Larger boards can have committees specialised in areas like audit, remuneration, and risk. The directors of a fund have limited responsibility compared with directors of a manager because the strategy of a fund is defined at inception by the sponsor. Also, a fund typically has no employees and outsources all functions. Service providers could include a manager, custodian, administrator, auditor, broker, adviser, and others. The fund directors are responsible for delegating functions to competent service providers. In Malta, directors are not required to be residents. This gives Malta an advantage over countries which have residency requirements. However, Malta does not allow so-called “corporate directors” for regulated financial entities. This is where a non-licensed company rather than a person is a director. In some domiciles, corporate directors can be used to limit transparency and liability for the people who are really behind an entity. Certain skills should be present on a board, such as portfolio management, risk management, operations, legal compliance, and accounting. Each director doesn’t need to be an expert in all areas, however, the board collectively should have these skills. At board meetings, the directors must be able to review the investment management report, administrator report, custodian report, and auditor report. Obviously, a director must be able to understand these reports. And, critically, directors must have the time and motivation to perform their duties properly, including preparing for and actively participating in board meetings. If a person has a full-time job, does he have enough time to properly perform as a director? Or, if a person is a full-time director, does he have too many directorships? Some directors will be “executive” or “inside” directors. With the board of a manager, this means they have a day-to-day job running the manager. With the board of a fund, this would also mean they are an employee of the manager since the fund itself usually wouldn’t have employees. 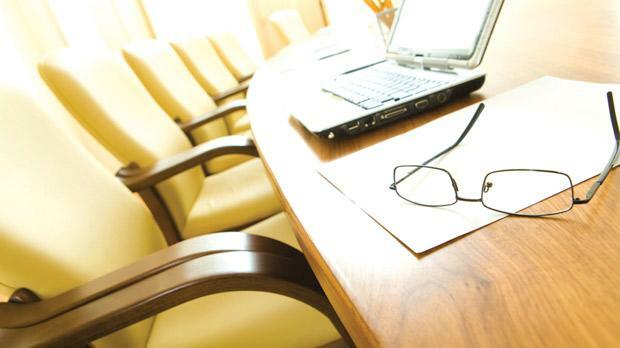 Other directors will be “independent” or “outside” or “non-executive” directors. Some people differentiate between independent and non-executive directors by saying that only the latter can be shareholders themselves. All directors are the same by law. Executive directors and independent directors have the same duties and liabilities. Therefore, there isn’t an exact definition of independence. An independent director should definitely be independent of the manager. And, ideally, he should also be independent of the other service providers. This means he and his close relatives should not be employees or owners of the service providers. The reason is to avoid conflicts of interest. The MFSA recommends that most or all directors should be independent. This is a recommendation, not a requirement, however, since the MFSA has the power to reject appointments, it is able to compel independence for the purpose of protecting investors. Plus, institutional investors are also increasingly focused on this issue. A prudent institutional investor will conduct due diligence on directors to ensure a safe level of independence before allocating money to a fund. Of course, the investors are the owners of a fund and therefore are the ones protected by a well-functioning board. Juanita Bencini, partner at KPMG Malta, said: “The importance of the independent director in a fund has not been taken sufficiently seriously over the years. However, it is important to remember that a fund does not operate as the standard company and that within a fund environment most of the day-to-day functions are delegated. This makes the concept of an independent director even more necessary in a fund since this gives third party investors the necessary comfort and seeks to match their heightened expectations”. All directors have a fiduciary duty to the entity where they sit on the board. Presumably, this should benefit the shareholders including the owners of the manager and the investors in the fund. All directors should adhere to this fiduciary duty while acting in their capacity as directors. If a director has a conflict, for example, he is also an executive of a service provider, then the conflict should be disclosed and anyway his fiduciary duty while serving in his capacity as a board member of an entity must still be to that entity. For example, suppose a manager uses a particular law firm. And, suppose the manager sponsors a fund, and selects a lawyer from that law firm to sit on the board of the fund. Will that lawyer be making decisions in the best interest of the fund? Or, will he use his position to try to promote his law firm? Also, consider the reports that are reviewed during a board meeting. If a director is also an executive at the administrator, can he objectively review the report from the administrator? The very decision to appoint an executive of a service provider to a board can imply conflict of interest. For example, negotiation with one entity and its administrator could have included a promise of a directorship for a particular person with another entity. Besides absence of conflict, an independent director has other advantages as well. He should have more general knowledge compared with an executive director with more company-specific knowledge. The independent director must have a clear view of the external environment enabling him to identify and focus on the most important issues. He then must be able to stand back from each issue and consider it without bias. But most importantly, an independent director can add value because he can question and criticise the executives. An independent director is only effective if he has the strength of character to be able to do this. This strength is reinforced if independent directors are a majority on the board. Malta can maintain its excellent reputation as a domicile, thus attracting more managers, funds, and related investment. This will result in lucrative jobs and increased tax revenue. A good way to do this is by providing high- quality independent directors, who properly perform their duties in the best interest of the entity they serve. John Christmas is the co-founder of Directors Chambers.